Your one way ticket to good vibes! This Kiff Kombi tour has just been upgraded. 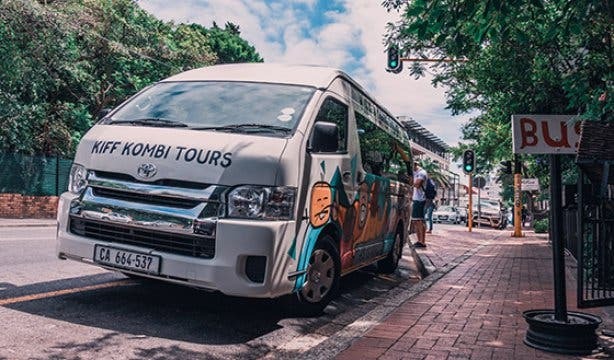 Cape Town’s coolest tour operator has introduced an all-new, colourful (and air-conditioned) Toyota minibus van for your comfort and road-tripping enjoyment. 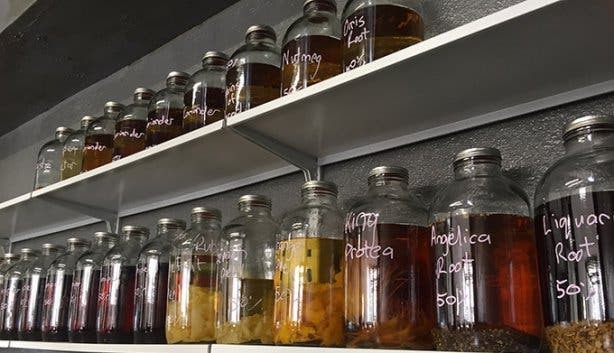 We recently got the chance to experience The Gin Jol tour – a celebration of all things gin in Cape Town. And we totally called shotgun, because, come on, this is one of the latest special offerings by Kiff Kombi Tours. The tour started outside of Yours Truly on Kloof Street. We had more than enough time to grab a coffee and prepare for a whole day of gin tastings – challenge accepted. The colourful new Toyota minibus was waiting for us. And so was the gin, so we all piled in and headed out for a day of adventure. The first stop on the tour was the Durbanville Distillery at Meerendal Estate. The drive to Durbanville was picturesque, the new van super comfy and the company stellar. We made new friends and by the end of the tour, it was like we’d known one another for years. Gin tasting will do this to you. This one was a true discovery as most of us had never heard of this distillery but we were delighted when we tasted their amazing products. To kick you into gear, the first venue gives you a taste of their rum, vodka and gin. We started with the rum, moved to the vodka and ended with the gin. Before you ask, we did have a taste of each one neat, but we also added a mixer in a 1:1 ratio to maintain the flavour of the spirit while ensuring that we would still be on our feet at 2pm. On the way to the next stop, the Woodstock Gin Co, tour leader Drew Campbell presented us with tasty snacks to line our stomachs and keep us busy. They were a welcome treat as we were pretty buzzed by this point – five neat spirits will do that to you! When we arrived at the Woodstock Gin Co, a table with four tasting glasses and snacks awaited us. Owner Simon Von Witt was there to take us through the gin making process and give us some insight into the flavours of each gin. We tasted their Inception Gin, of which there is a wine-based one and a beer-based one, the High Tea gin, as well as the Cask Aged one. Each gin was paired with a different snack which included olives, cheese, biltong, pistachios, dried fruit and cake. 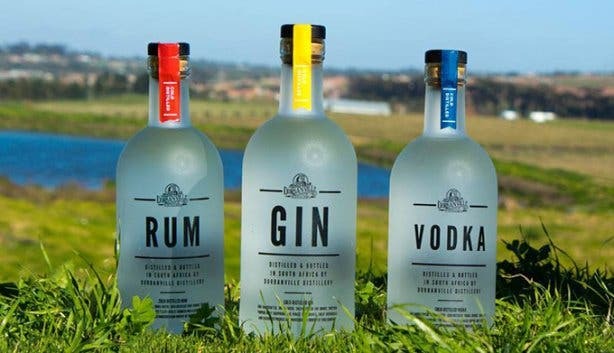 The second-to-last stop on The Gin Jol was New Harbour Distillery, also located in Woodstock. This facility opened quite recently, but already they’ve made their name as crafters of sensational gin in a carbon-neutral distillery. Currently, they produce Spekboom // iGwanitsha Gin, Rooibos Infused Gin and Natural Copper Catalysed Vodka. They are also one of the only producers of Fynbos Gin in the Western Cape (it’s a limited edition product and you can buy it online). When we arrived the table was already set with our tasting glasses as well as a selection of chocolates to pair with the various spirits. No gin tour would be complete without a stop at the Secret Gin Bar. This inner-city hotspot is where Capetonians flock for a taste of local gin made into some bespoke cocktails. We were treated to a delicious gin and tonic while we all sat and reflected on a day well spent. With lunch included, pick-up and drop-offs in the city bowl area, distillery visits and tastings, this awesome tour costs R770/p. Book your tour now by calling +27 (0)72 213 3888, or email bookings@kiffkombitours.co.za. 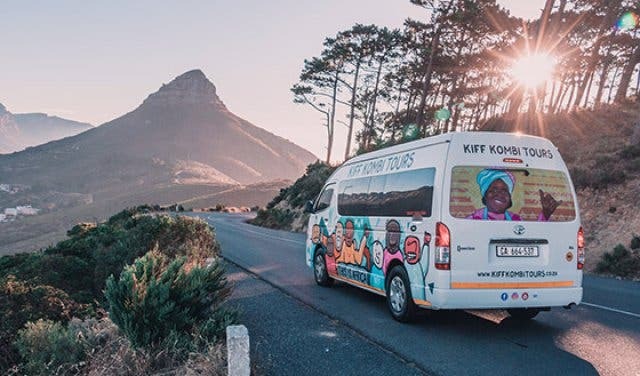 Tip: If you would like more of a cultural experience, Kiff Kombis have also added a Township Tour which takes you through Langa, one of the oldest and most colourful suburbs in Cape Town. Want to know more about Cape Town’s coolest tour operator? 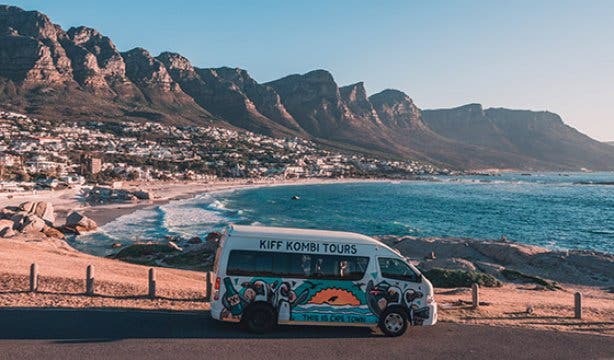 Read about Kiff Kombi Tours here. Not a big gin fan? Try Kiff Kombi Tours’ Craft Beer Safari instead. 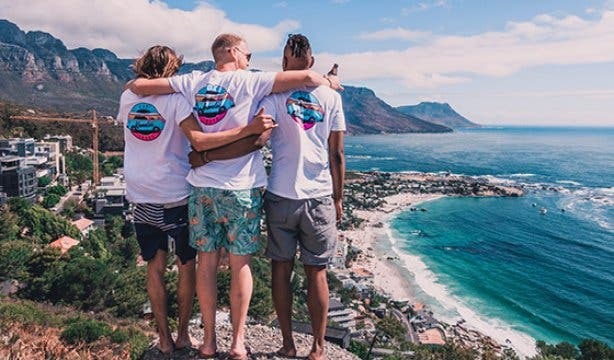 Want to experience the best of Cape Town through epic, bite-sized activities? Check out the city’s most unique day tours. We have the best ideas for organising the ultimate bachelor parties and bachelorette parties in the city. You might also be interested in unique team-building and end of year experiences for colleagues. 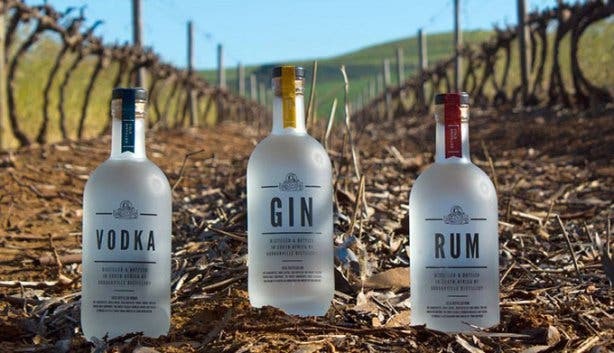 Plus, check out our Cape Town Gin Distillery overview.